John Hartson has posted the most sombre #10yearchallenge pictures. The former Celtic striker is a popular pundit across various outlets with his distinctive voice delivering honest opinions on the Scottish and English games. Ten years ago that wasn’t the case as he battled back from cancer surgery. The scar from one operation on his brain is still visible. Hartson was aware of some sort of problem but delayed going to visit a doctor in the hope that the pain would clear up naturally. In July 2009 he was recovering from emergency surgery after testicular cancer that had spread to his brain. The former Welsh internationalist has certainly made full use of his second chance at life, setting up the John Hartson Foundation which raises awareness of men’s health matters and testicular cancer. 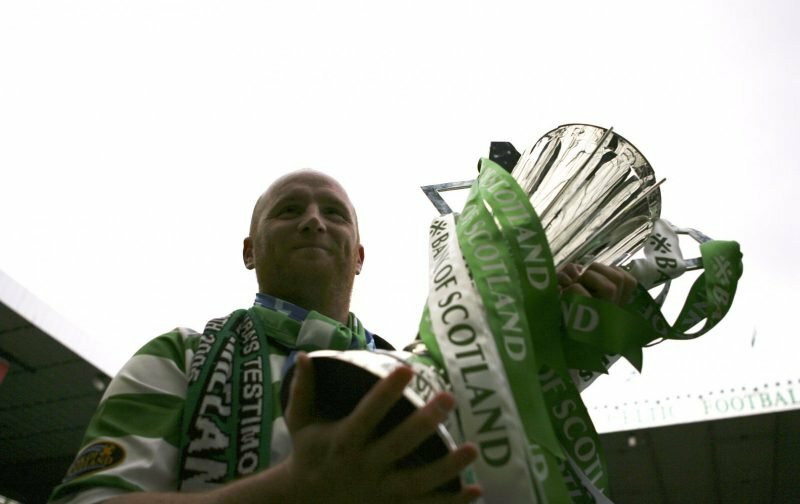 Hartson has relocated to Scotland on a permanent basis and recently spent some time helping former team-mate Neil Lennon coaching at Hibs.